THANK YOU THANK YOU THANK YOU!!!! I was just sitting here looking at the NB sized Nana's Bottoms Dipes I got for the little guy we're expecting in March, wondering how they'd look and if they'd work. How precious is he??? What a gorgeous little sweetheart you have there. Ooooh...I can't wait til March!!!! Wow I have asked for these several times and never gotten them!!! My entire nb stash is pfs and newborn nanas!! THANK YOU! .....\. Oh he is so cute!!! I wish I had gotten some of those! so cute!! i loved Nanas Bottoms when ds was a newborn!!! 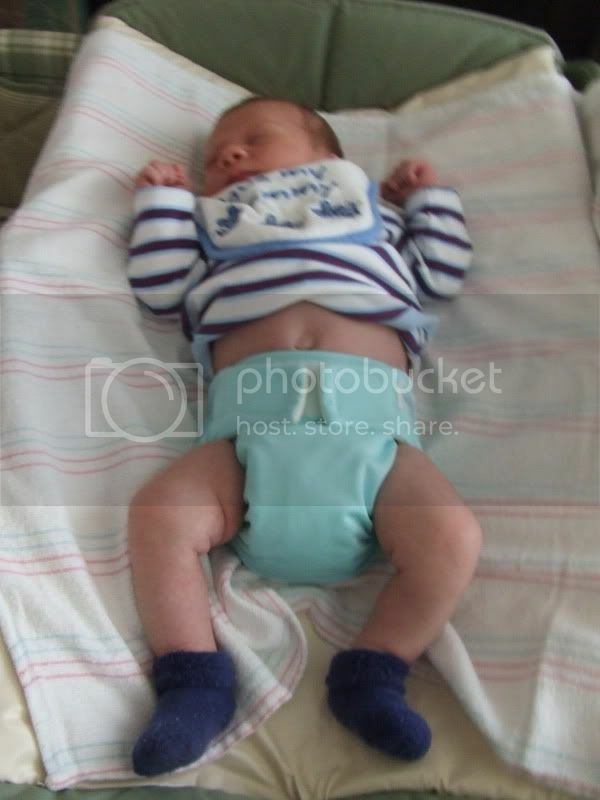 I looove all of the newborn pics! It makes me want another one! Rachel - mom to Lilly and Lucy. The nana's bottom didn't leak, didn't wick... I'm in love! He didn't even put a doubler in and Nick is a SUPER soaker! Is that a small or nb size?? I know I'm going to have to get some smalls to have on hand too, but I'm holding off hoping this babe will be little!